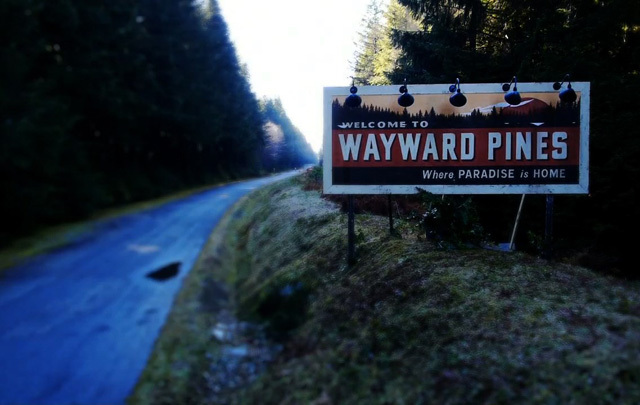 We Need To talk About WAYWARD PINES | Warped Factor - Words in the Key of Geek. Warning: Minor spoilers for the first five episodes of Wayward Pines, and a rather large one for The Sixth Sense, included below. ... but I didn't go so far as to tune in when it debuted six weeks ago. Possibly it was down to the M Night Shyamalan involvement - I mean, how many chances can you give that guy? - or maybe it was down to its star, Matt Dillon, who I've never really enjoyed in anything since The Outsiders, and just can't see as leading man material. On the plus side I saw it featured the always excellent Toby Jones, but ultimately it just felt like one show too many for my viewing schedule. Then last weekend I found myself with some free hours and an on-demand service with which to fill them with. I've been annoying all my friends over the last few days, telling everyone they have to watch Wayward Pines. And that's really what I'm attempting here on a, hopefully, larger scale. If you enjoyed shows like Lost, The Prisoner, Twin Peaks and The X-Files then I'm pretty sure you're going to love Wayward Pines. I mean, it's not awarding winning, life changing television, but it is a terrific little mystery show that will draw you in and have you guessing. And possibly, like me, find yourself obsessing over. I know there's a warning above, and I'm deliberately not revealing anything major below but, seriously, if you've not watched Wayward Pines stop reading now. Go watch it. Cold. It's definitely the best way. My initial impressions were good. Very good. I mentioned The Prisoner above, and from the outset there's a very Prisoner like aura about the show. I'd go as far as to say that after watching the first couple of episodes I felt that this was exactly how they should've remade The Prisoner, instead of the lackluster 2009 re-imagining. There's also initially parallels with the 2010 series Persons Unknown, but then that was quite Prisoner-esque too. It turns out Matt Dillon was a great choice as Ethan Burke. He displays a perfect blend of confusion, doubt and occasional rage as the mystery of this idyllic town plays out in front of him. In fact pretty much all the cast are spot on, I'm especially enjoying Mellisa Leo as the creepy, almost perverse, Nurse Pam. 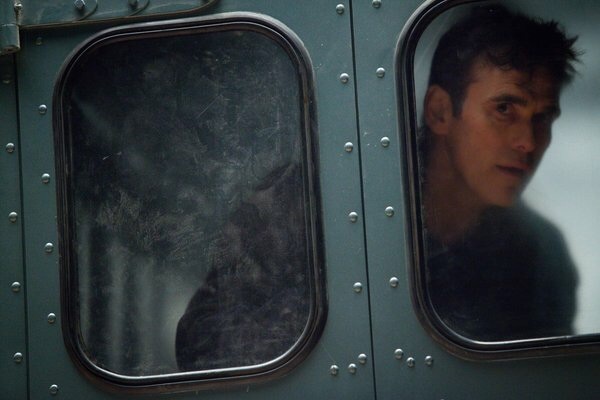 Wayward Pines also feels like a long overdue return to form for M Night Shyamalan. There's no need for me to go on about his recent track record, rather go back to The Sixth Sense and Unbreakable and remember just what the man is capable of. Like The Sixth Sense, watching the opening episode, which Shyamalan directed, gives you a sense of uneasiness. The subtle dropping of hints for both Ethan and the audience to follow are masterfully presented with restraint and enough ambiguity to be unnerving yet not to the point of overbearing. Maybe the small screen is now the perfect place for Shyamalan's work. From the outset I had questions. I made guesses, they revealed more, and I reassessed my assumptions. I went through theories involving virtual reality, clones, aliens, they're all dead... you name it. As the first four episodes played out, Wayward Pines deepened the mystery, offering more tantalising hints of how this bizarre place came to be, and the secrets behind it. I figured this is how things would be for the duration of the series, a slow drip feed, as piece after piece the puzzle gradually comes together, until in the final episode all is revealed. In a 20 minute info dump "The Truth" is revealed. I'm not going to go into it here because, although I'm quite sure it's only one side of the truth and there are plenty more mysteries to unfold, to reveal it would be like the time I first watched The Sixth Sense at the cinema and 5 minutes in someone shouted out "You all know Bruce Willis is dead, right?" - true story! - I'm not going to be that guy. 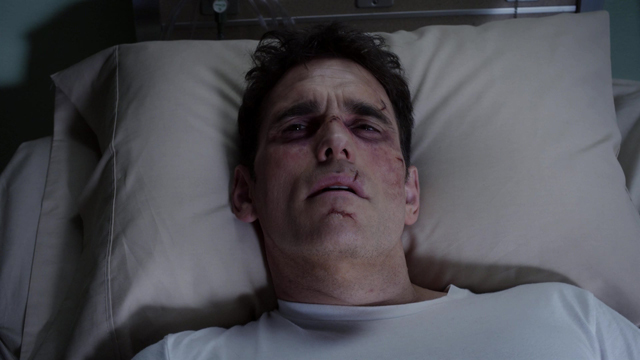 For me, the truth about Wayward Pines was completely unexpected, yet made perfect sense.... sort of. Some of my theories are still in play. There are still plot holes, there are still things which don't add up, but then we're only at the halfway stage of this 10 episode miniseries. 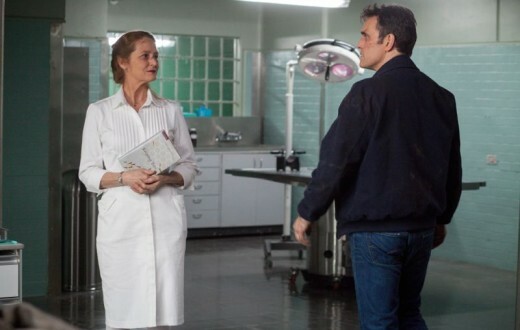 It's obvious there are lots more secrets to uncover in Wayward Pines, and I can't wait to discover them. Join me and let's obsess together. Episode 6 of Wayward Pines airs Thursday June 26th on FOX, in both the US and the UK.